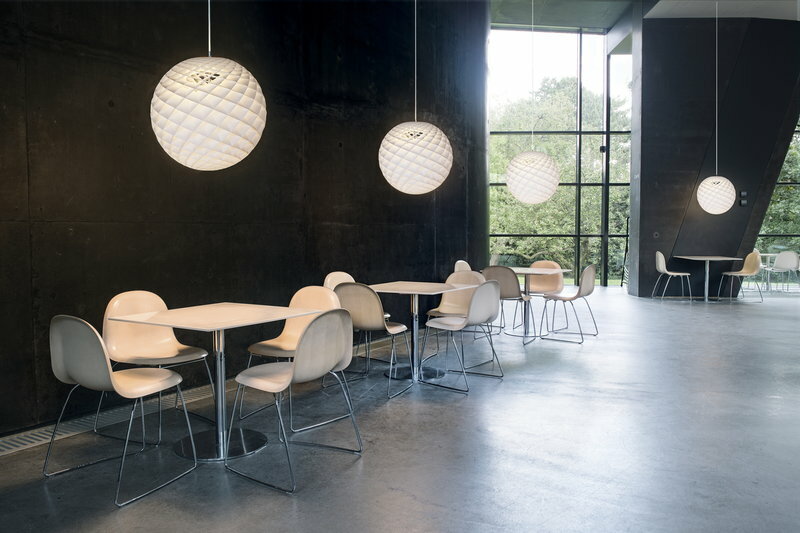 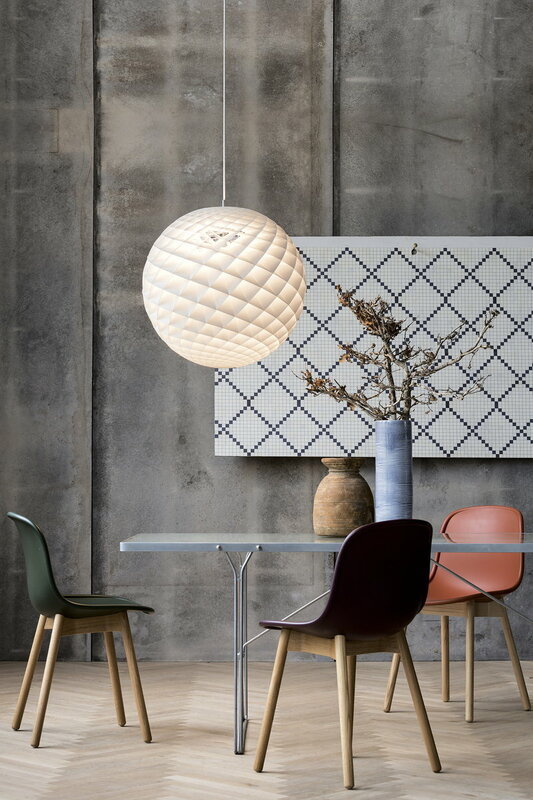 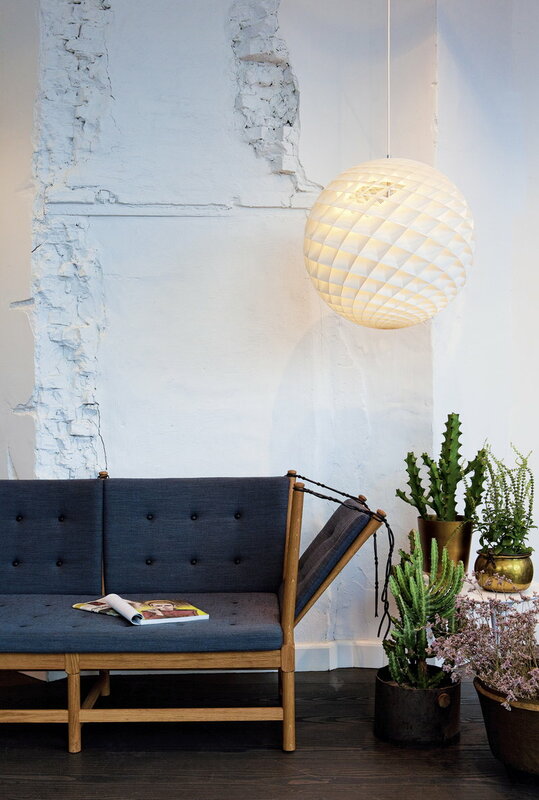 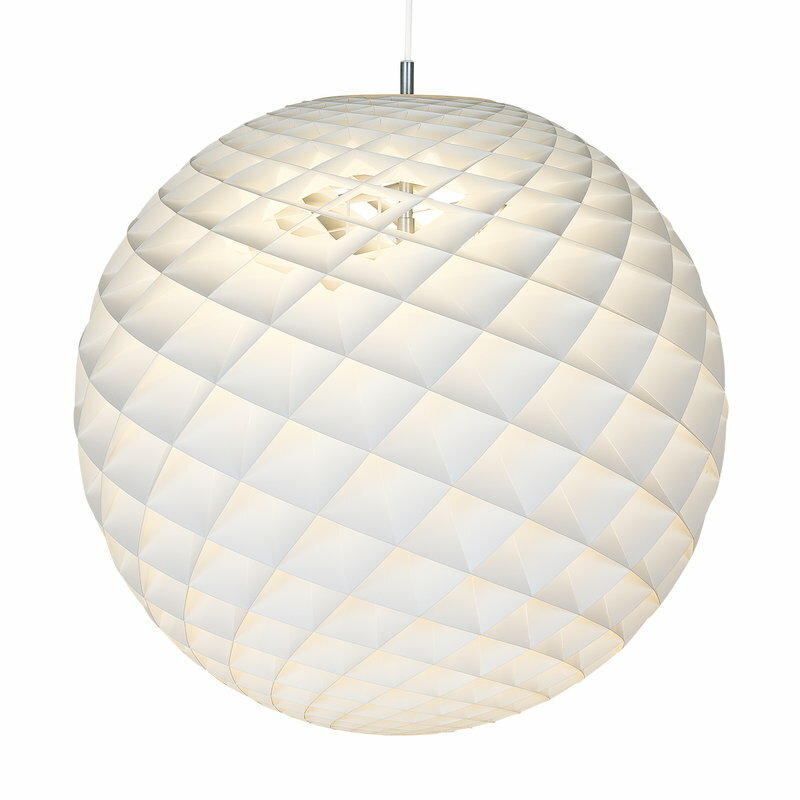 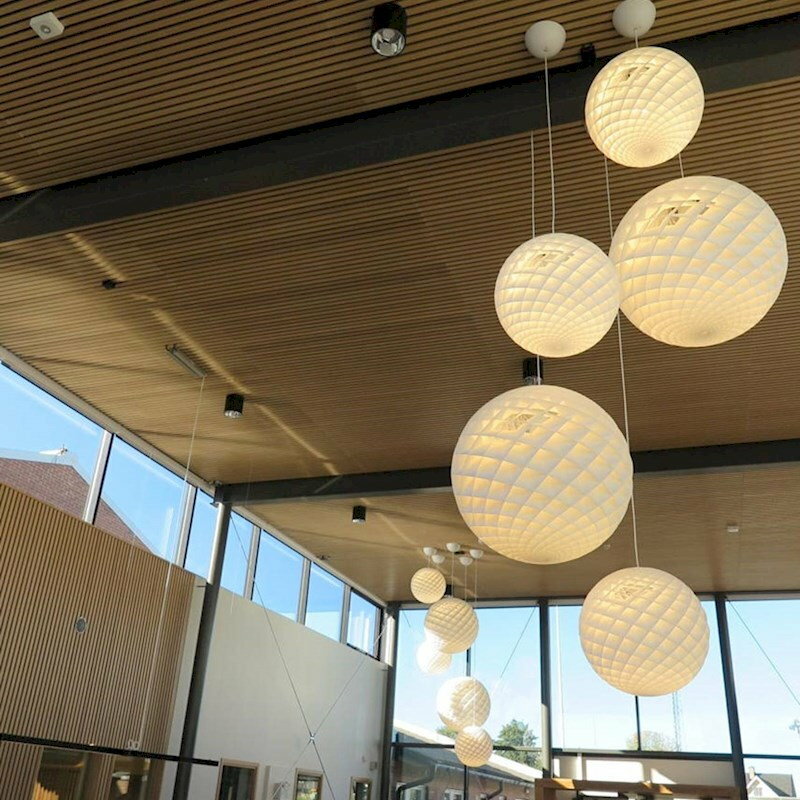 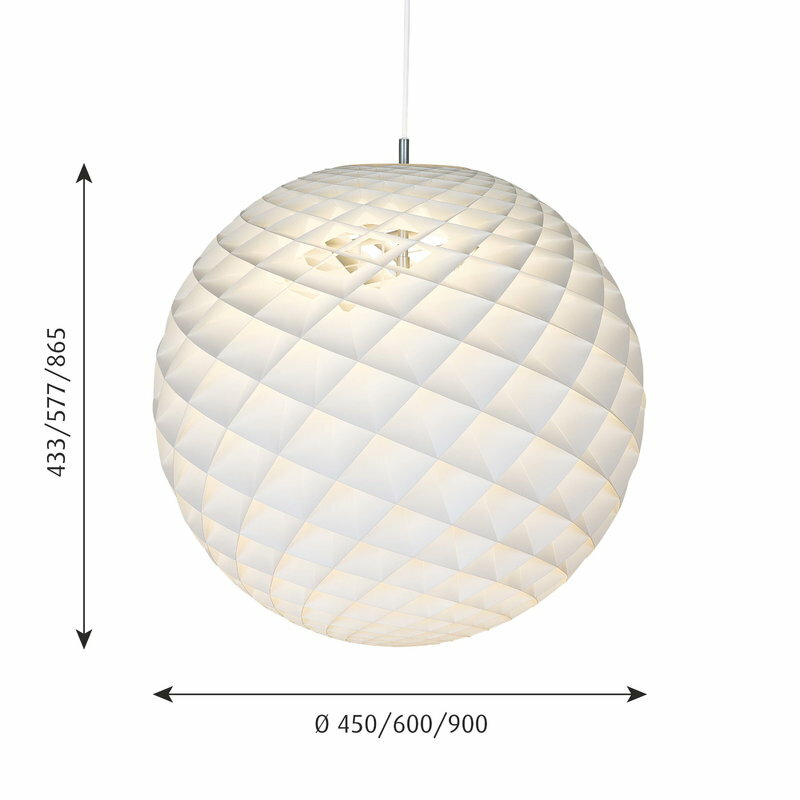 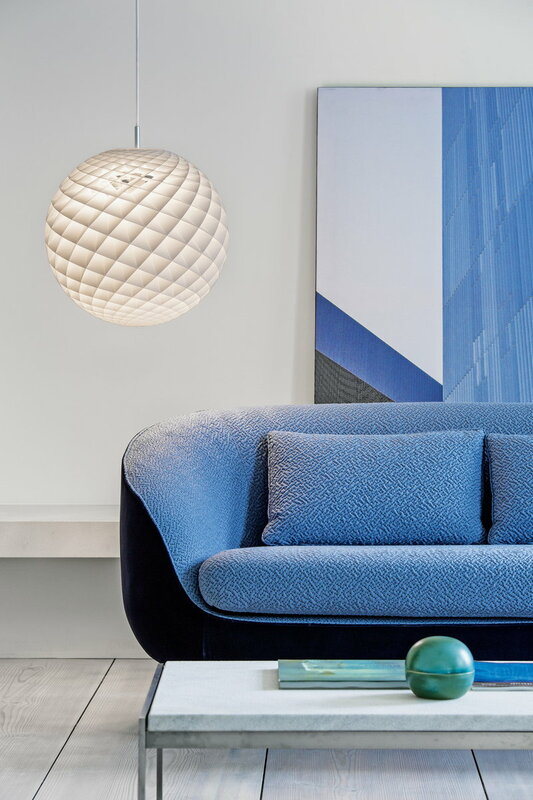 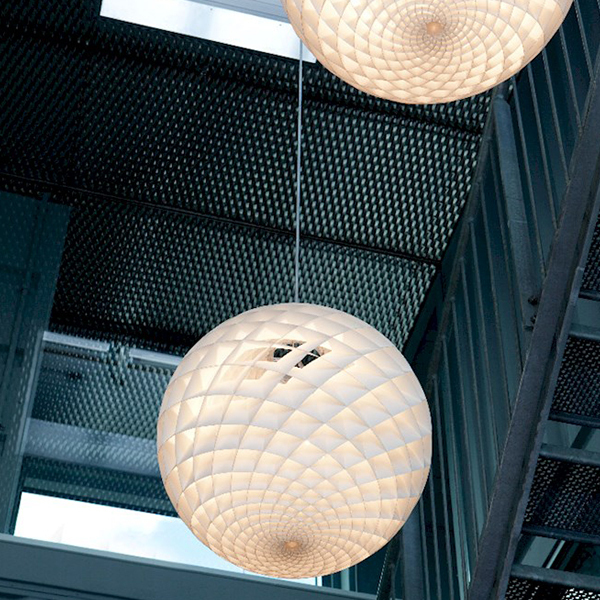 Louis Poulsen’s Patera 600 pendant light has a calm, matte white surface and a sense of delicate, mathematical beauty. 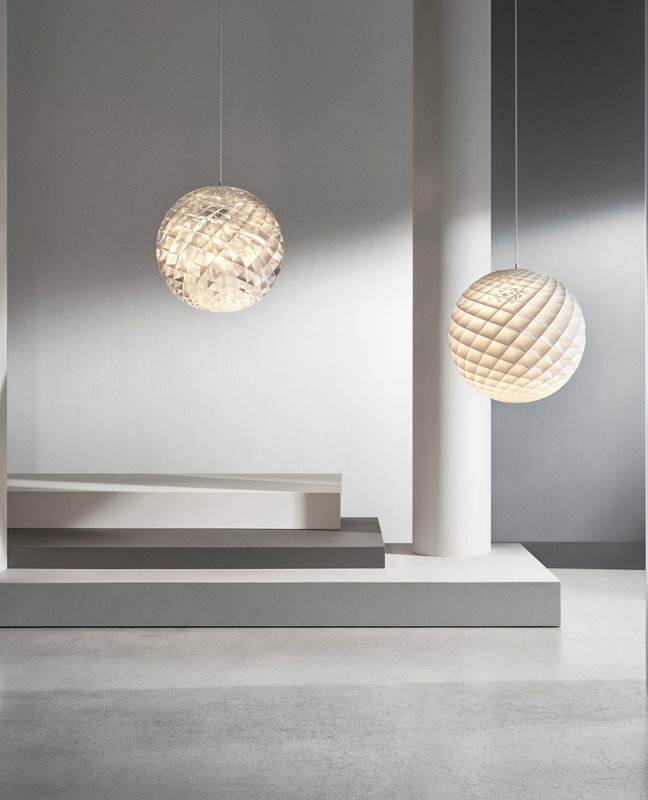 Designer Øivind Slaatto drew his inspiration from the Fibonacci sequence that appears in nature as spiral patterns: the pendant consists of diamond-shaped cells arranged in a form that resembles the seed patterns of sunflowers and pinecones. When lit, the cells glow in a fascinating manner and also prevent glare. 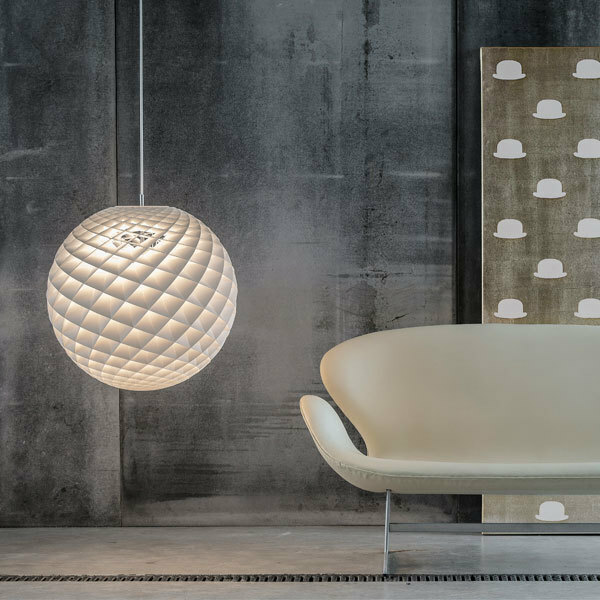 The intricate structure and the vivid surface make Patera a modern chandelier that is perfect for high spaces. 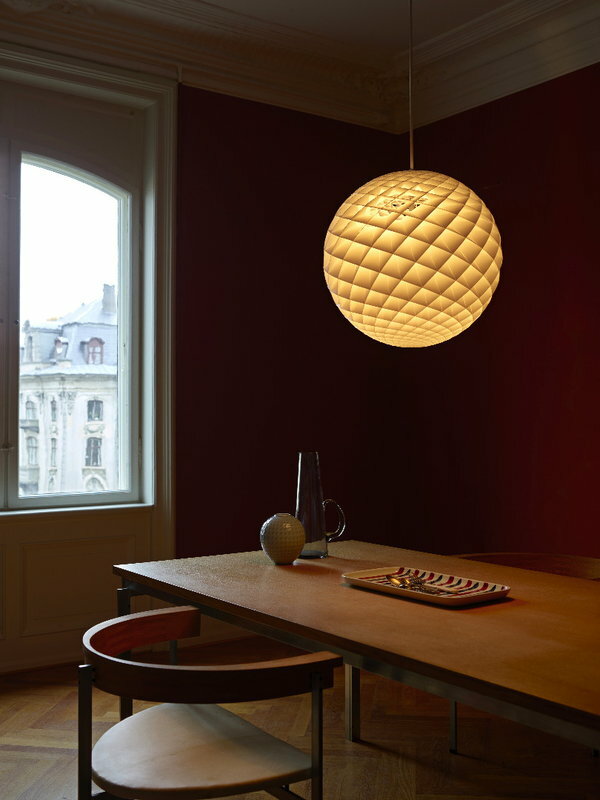 The Danish designer Øivind Slaatto studied industrial design at the Danish Design School in Copenhagen, graduating in 2007. 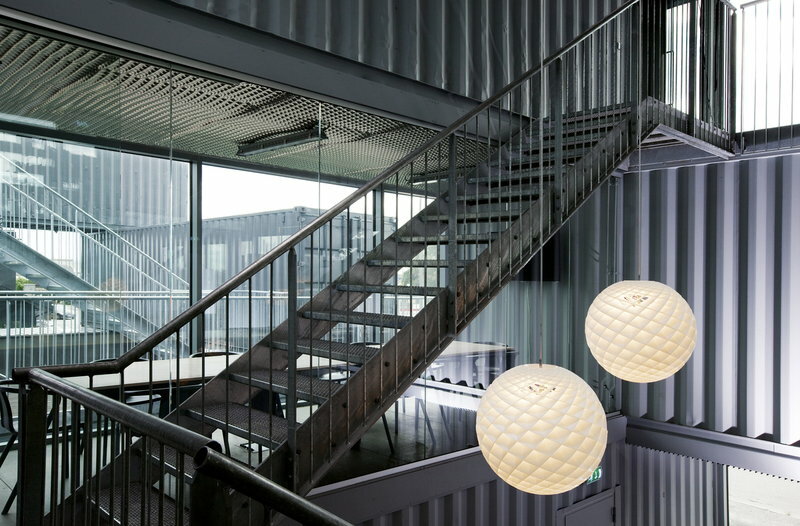 Today he runs his Copenhagen-based studio Slaatto. 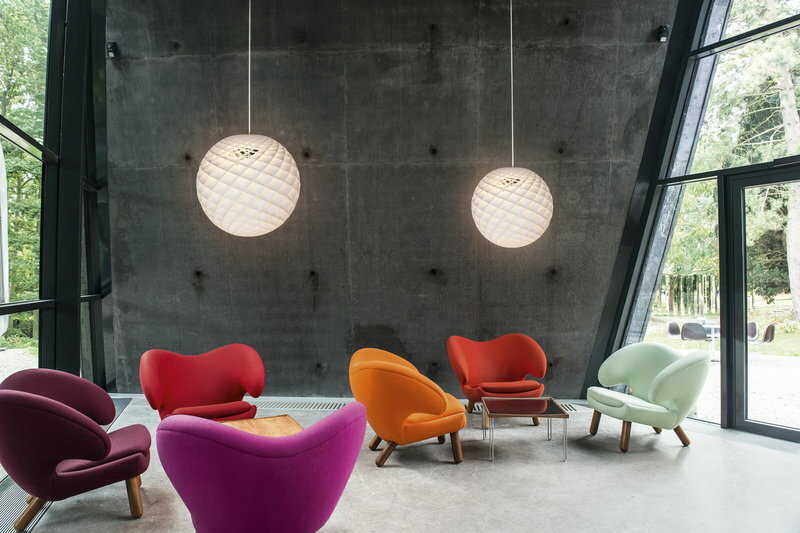 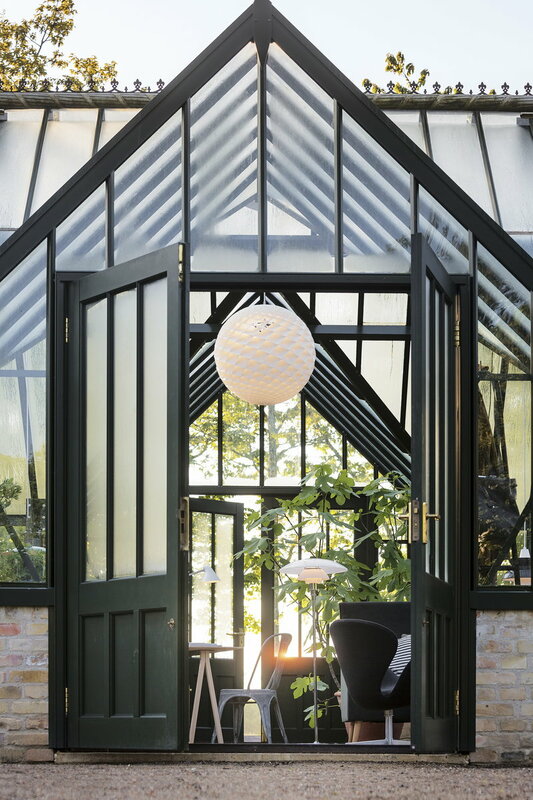 He has done projects for companies like Bang & Olufsen, Le Klint and Louis Poulsen. 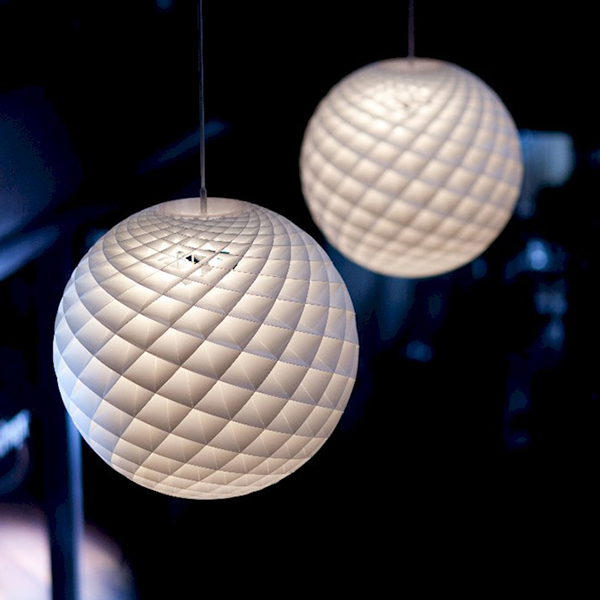 Slaatto gets his inspiration from nature, but also mathematical principles.